We thought it was about time we took a moment to update you on the artistic, rather than financial progress of our CD project. 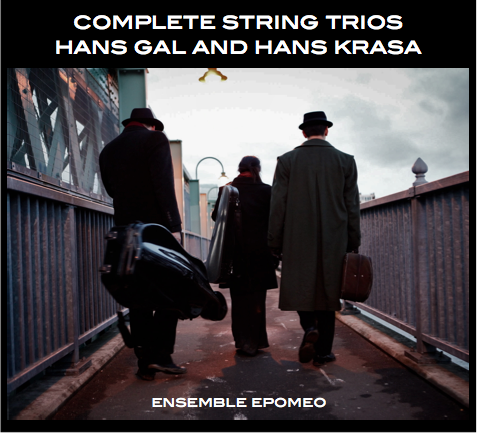 Our recording of the trios of Hans Gál and Hans Kràsa comes out in September, but our journey with the project is very much on the home straight- the disc goes to the factory this week. It’s easy to forget that a physical CD is more than just the music- its design also meant to please the eye, and the liner notes should help to illuminate the listening experience. We’re very, very lucky to be releasing this disc on Avie Records, whose model of artist ownership gives musicians every opportunity to shape their message and to make the entire CD, from the notes we play to the liner notes we write, reflect what we’re trying to put across about the music and ourselves. However, there’s more to designing a cover or a whole CD than coming up with a bitchin’ picture and slapping some text on it. CD covers and booklets need to conform to fairly rigid templates, and be encoded in a way that will ensure the colours and proportions end up printed in the right way. White Label Productions do the booklets and design for most of the UK CD industry, including all the Avie recordings, and they’ve worked closely and tirelessly with us in translating David’s designs into something ready to go to the factory. It takes a great deal of patience, attention to detail and an awareness not only of what looks good, but of how people read and take in information. So, with our factory deadline approaching, we’ve been working to not only get the designs right, but to get the entire booklet finished- notes, bios tracklists and acknowledgements. I (Ken- the cello player) wrote the liner notes back in February and early March, and they’ve since been translated into French and German by White Label’s crack foreign language team. Now that they’ve been formatted into the booklet, I’ve had time to forget what I’ve written and read it with a fresh eye and ear, and, invariably I’ve found a few things that could be improved, and caught one factual error that nobody else had noticed. Of course, there are bound to be typos in all three languages that need to be sniffed out. Nobody catches everything, and usually the author catches the least, so I’m glad I’ve had some great proofreaders to help. I’m amused that I seem to have gotten away with using the expression “all hell breaks loose” in one essay- it’s not typical liner note language for a chamber music disc, but, in this case, all hell does break loose, so unless someone insists on a re-write before tomorrow, I think that will be in there. I’m pleased. Communication on a project like this can be complicated. Everything needs to be checked and approved by the design team at White Label in London and the senior Avie team in Massachusetts, New York and Oxford. We’ve also been busy sourcing photographs for the booklet from our own photographer, the amazing Benjamin Ealovega and historical images from the Hans Gál Society in Edinburgh, the Jewish Museum in Prague, the US Holocaust Museum and the Wiener Holocaust Memorial Museum in London, all of whom have been incredibly helpful in finding and licencing the images we need to tell the stories of these two composers. -Hi ken,I am sitting out in the middle of the street, if you can believe it, and piggybacking on some unknowing soul’s internet. I was desperate to send this stuff this morning. It really is the middle of nowhere here but strikingly beautiful. -Here I am in the street again. A stray dog and mangy cat are watching me. They are now my friends. -The mangy cat just walked away. Got bored, I suspect. So, tomorrow morning, we’ll have a final look at the proofs, and hopefully, we’ll be done with everything but the music. Help us bring the music of Gal and Krasa back to life. Chances are, if you’re reading this, you’ve already heard us talk about our important fundraising campaign, but we need your help, and we need it before August 21st. It’s that simple. Last December, we recorded our debut CD as a trio in Glastonbury with producer Simon Fox. On the disc are four incredible works by Jewish composers whose lives and careers were decisively shaped by the events of 1933-1945. Hans Gál (1890-1987) was born in Vienna and become one of the most popular pre-war composers in Germany and Austria until Hitler came to power in 1933. Gál’s music was banned by the Nazis, and he had to flee for his life to Britain. He was interred during the war by the British, and suffered terribly before being liberated. Although he became an important academic in Edinburgh and continued to composer prolifically into the 1980’s, his music fell into near-complete neglect. Neither his Serenade (written in 1931) nor his Trio in F sharp minor (written in 1973), which are receiving their world-premiere recordings on this disc, had been performed in the United States before 2010. If the fate of Gál and his music was a sad one, that of his contemporary Hans Krása (1899-1944) was even more tragic. Born in Prague, he was considered one of the brightest lights of a generation of Czech composers inspired by Mahler, Schoenberg and Janacek. During the war he was interred at the Terezin Ghetto outside of Prague, where he was part of one last great creative flowering for a generation of Jewish composers including Vitkor Ullmann, Pavel Haas and Gideon Klein who were all deported Auschwitz and murderd in 1944. His two string trios, Tanec (“Dance”) and Passacaglia and Fugue were written just before his death. For most of the last 60 years, the music of this generation was lost or forgotten. As a trio, we felt that it was essential that these masterpieces be available to music lovers and musicians everywhere. 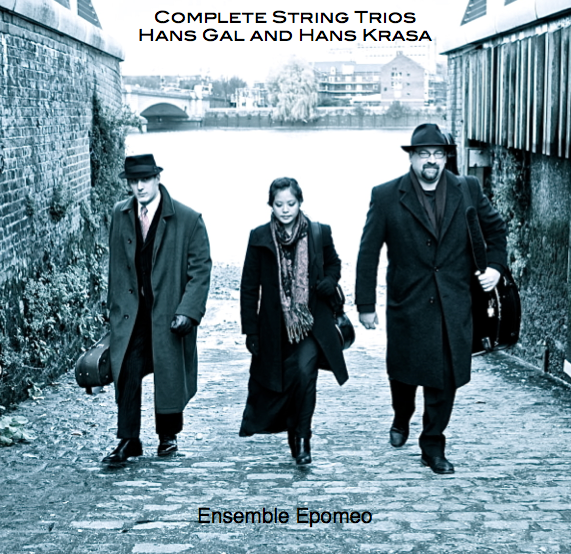 We’re very excited that the Avie record label have agreed to release the CD- they are consistently one of the most critically acclaimed labels in the industry, and have been particularly instrumental in bringing the music of Hans Gál to a global audience. This disc is in the can and ready to be released- the release is scheduled for September. We now need to raise about $8000 to cover the production, distribution and copyright costs. We’ve started an Indiegogo campaign, which is progressing well- we need to raise at least $5-8,00 via this campaign for the release to be possible at all, but we’re over 25% there already. You’re the ones we now turn to make this dream a reality. This music has waited too long to be heard, and it’s not going to be heard without your help. Donating is easy- just visit our campaign home page. You can donate via credit card or PayPal and donations are tax deductible. We also have a great selection of thank you gifts. 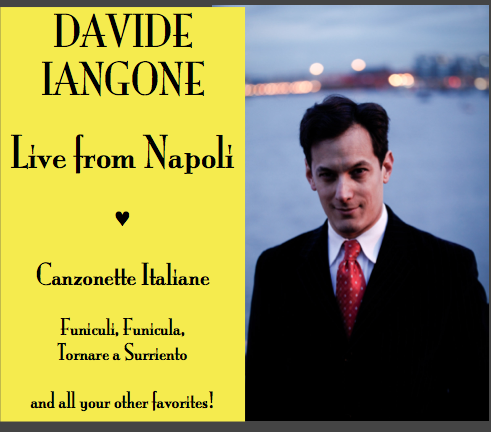 If you visit our website and our campaign headquarters, you can learn more about the pieces, see the cover and even hear a sneak preview of the first edit of the CD. Once you hear this music, we think you’ll understand why we’re so passionate about it. We know times are tough, and not everyone is in a position to donate- but maybe you can forward this message to others you know who are passionate about music and history. Every gesture matters, every penny helps. 1- What is this money for? We need to pay for the costs of designing and printing the booklet and CD itself, the distribution costs and “mechanical copyright costs,” which are charges made on all works in copyright. 2- What about the costs of recording and post-production? 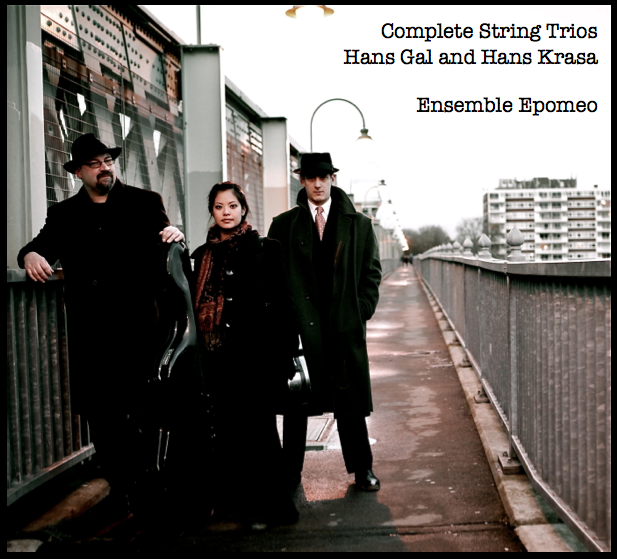 We felt so strongly about this project that the members of the trio paid for the recording production, engineering, editing and venue out of our own pockets. We’re proud to be investors in this great music! Now we need your help to get the recording released. 3- Why isn’t the record company paying for it? With very few exceptions, record labels no longer invest their own money in classical recordings except for high-profile “crossover” CDs. (Even in the pop and rock industry, labels loan money to artists, but rarely pay for costs. Advances must be recouped from sales or artists end up owning their labels). Most recordings are supported by artists, performing arts organizations, foundations and private sponsorship, whether at the Chicago and London symphonies, who sell their recordings on their own label, or Ensemble Epomeo. 4- What does Avie do and what happens to proceeds from record sales? Avie handle design, production and distribution. They make sure the record gets reviewed and that it is available all over the world. Avie works on a business model of artist ownership- a model they invented which has been hugely successful. 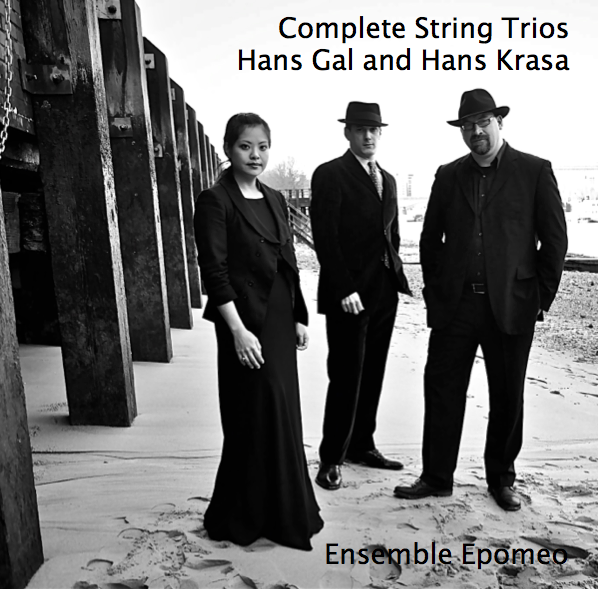 Ensemble Epomeo will own this recording, and proceeds from sales of this disc go into our Avie Account to pay for future recordings. 5- Do donors get a share of the sales? Sadly, no, but you do get a range of thank you gifts and your donation is tax deductible. Profits from the CD will go towards paying for future CD projects. Hopefully your investment makes possible a legacy of many recordings. 6- When can I hear the CD? All donors over $15 get a copy of the disc, which will be released in September. Thank you gifts will be shipped in October.